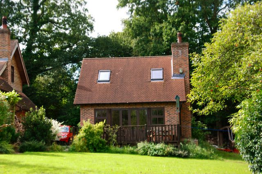 Little Ghyll is a detached cottage offering self catering accommodation of a very high standard. Sleeping six with ease, it's the perfect destination for a weekend break or a longer holiday. 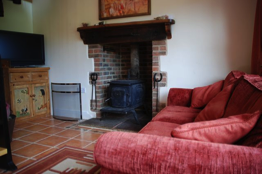 In the winter guests can enjoy the stove burning wood gathered from our own land, while in the summer the French windows open wide onto the decked terrace overlooking the wide lawns and woods beyond. Three nights stay from £385. Six nights stay from £585.